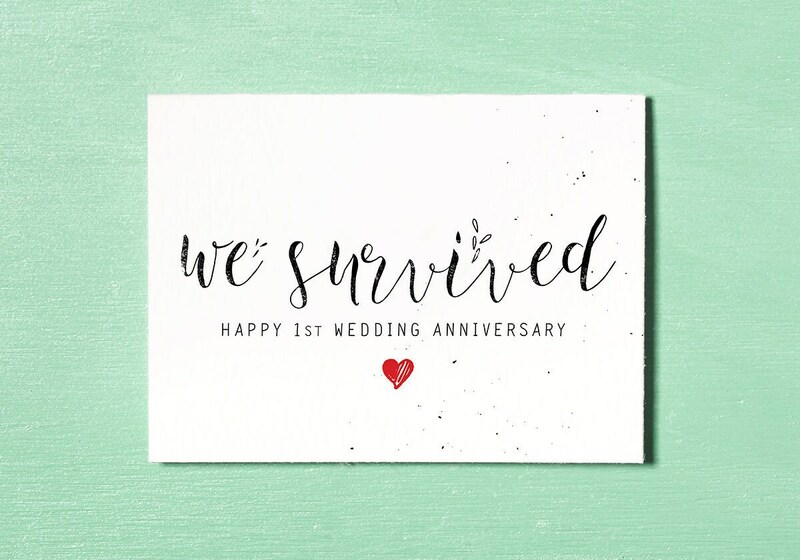 'We Survived' is a First Year Wedding Anniversary, printable digital artwork for Instant Download that can be printed as a Card at home, print shop, online print service or emailed as a digital file to your loved one. • Both RED and BLACK heart versions of the card. • 5x7” Hi Resolution JPEG files of the artwork, suitable for professional printing. • Hi Resolution folded card mock-ups, designed on an A4 size paper, suitable for home printing. Just Print, Cut & Fold. Cute card for my husband on our anniversary!! Really lovely design. Able to check proof. Very happy.